... especially in politics. The various noises emanating from Washington may seem to us to be orders of magnitude more harsh than those our forebears endured, and I often see lamentations regarding the new-found coarseness of our pundit class, but it seems that perhaps it has always been thus and it is an effect of our contemporaneous close proximity to the issues of today that make it all seem so much more brutal than the past. 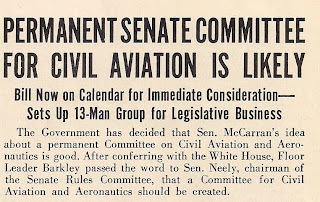 As a case in point, I enjoy reading aviation-centric periodicals from the relatively early days of the industry. 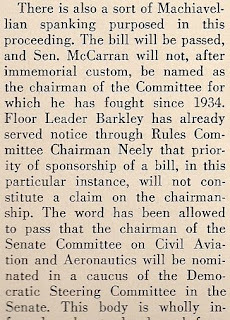 On a quiet Saturday morning, before the family and pets have arisen from their warm, comfortable beds (and, in the case of the pets, their snug spot on a self-chosen section of floor), I sometimes read a few articles from an Aero Digest from March, 1939. Well, to be perfectly honest, I seldom diver deeper than reading the advertisements and every now and then Googling the address of an old manufacturer to see if the building and/or company has survived the intervening years. Today I actually read some of the news coming out of DC. 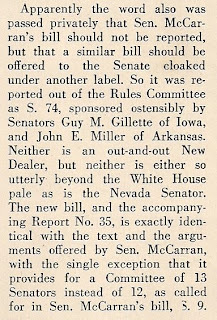 I found the tone and some of the familiar names of one of the articles to be interesting. 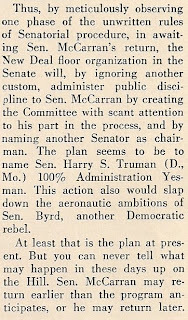 Senatorial politics of the late 30's seem to have been every bit as dog-eat-dog and, well, petty as they are today. Oh my! 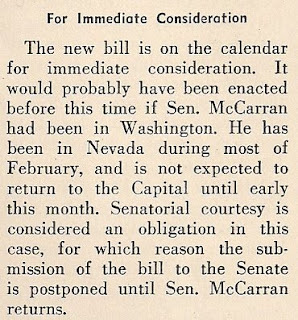 I wonder how the NY Times would phrase that today. And then there are the things that we have learned to take for granted. 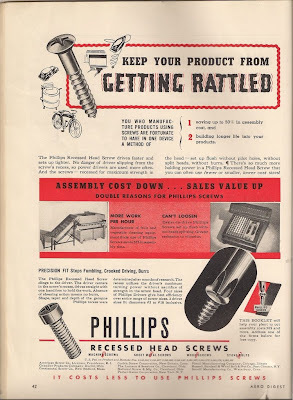 Have you ever considered, for example, the need to advertise ground-breaking technology like the Phillips head screw?? I gotta get me summa those new-fangled screws!